Bishop Gardner transitioned from labor to reward on Wednesday, January 30, 2019, at UNC Lenoir Health Care Center in Kinston, North Carolina. He was born in Lenoir County, North Carolina on June 14, 1947 to the late Mr. Quincy Gardner, Sr. and Mrs. Laura Bell Gardner. He received his basic education in the Lenoir County Public School System. 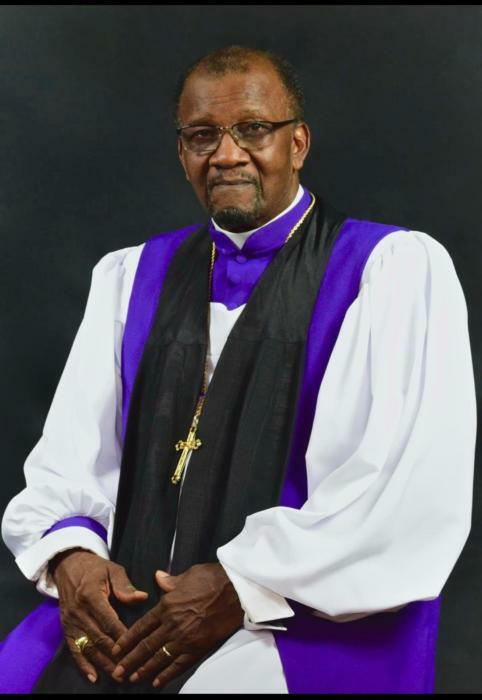 Bishop Gardner is the sixth of seven children born to the late, Deacon Quincy Gardner, Sr. and Minister Laura bell Gardner. He was married for the Past 50 plus years to Mother Lenora Crawford Gardner; four sons were added to the union; Quincy Gardner, III, Elder Travis D. Gardner, Adrian Gardner and Dujuan Gardner. He was a member of the United Holy Church for over 60 years. He came up through the ranks of the church as an usher, YPHA teacher, choir director, a musician and ordained Deacon. In 1980, he received the call to the ministry to preach and evangelize God’s Holy Word. Bishop Gardner, an instructor, retired from the State of North Carolina Department of Vocational Rehabilitation Center with 32 years of dedicated service. Also, he retired as a building contractor with 50 years of experience. 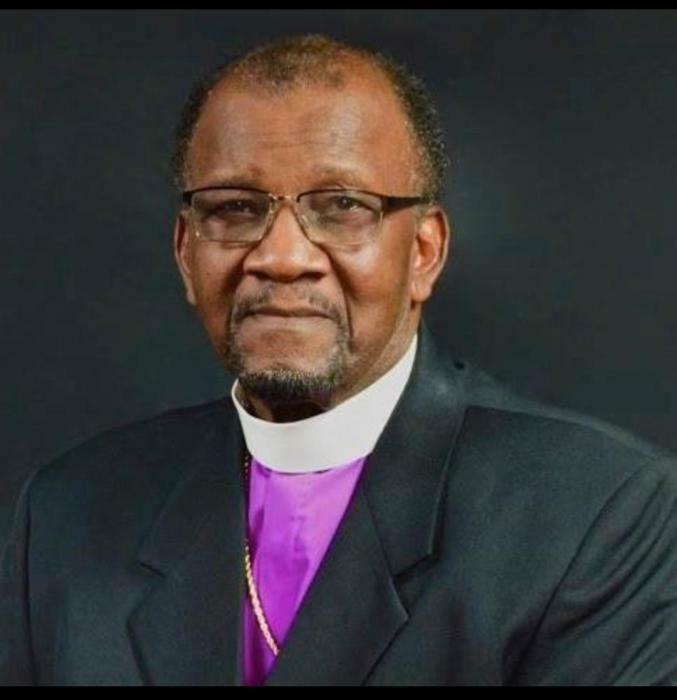 He served as the Chairman of the Board of Elders for the Southern District Convocation, Member of the General Board of Elders of the UHCA in Greensboro, NC. Also, he has served as a District Elder and President of the Clinton District Union. For the past 32 years, he has served as the Pastor of New Saint Delight UHC in Mount Olive, North Carolina. In 2009, he was elected as Second Vice President of the SDC and consecrated to the office of Bishop in 2011. In September 2016, he was elected as Vice President of SDC in Goldsboro, NC. Bishop Gardner was preceded in death by his sweet and loving parents, Deacon Quincy Gardner, Sr. and Minister Laura Bell Gardner; four sisters, Mrs. Mildred Lewis, Mrs. Annie Lewis, Mrs. Lavra Lewis and Elder Sallie Hutchins; a brother-in-law, The Right Reverend Leamon Dudley, Sr.
A celebration of life service will be conducted on Wednesday, February 6, 2019 at 11:00 a.m. in the Love Temple United Holy Church, 201 Oak Forest Road, Goldsboro, North Carolina 27534. The Right Reverend Ralph E. Love, Sr. will officiate. Interment will follow the celebration of life service in the Old Mill Memorial Park Cemetery, 3718 Central Heights Road, Goldsboro, North Carolina 27534. Bishop Gardner leaves to cherish his loving and precious memories to his wife of the home, Mrs. Lenora Crawford Gardner of La Grange, North Carolina; his sons, Mr. Quincy Gardner, III and wife, Renae, of Glenn Height, Texas, Elder Travis Gardner and wife, Kimberly, of Goldsboro, North Carolina, Mr. Adrian Gardner and wife, Bunnie, of La Grange, North Carolina, and Dujuan Gardner and wife, Jennifer, of Raleigh, North Carolina; his eight grandchildren; his brothers, Mr. James Gardner of La Grange, North Carolina, and Mr. Thomas Waters and wife, Dr. Lois, of Goldsboro, North Carolina; his sister, Elder Lucy Dudley of La Grange, North Carolina; a host of aunts; a host of uncles; a special thank you to The New Saint Delight United Holy church family of Mount Olive, North Carolina; a host of nieces, nephews, cousins, other relatives and friends. On Wednesday, February 6, 2019, the family members and friends will assemble at the residence of Mother Lenora Gardner, 3934 Ed Herring Road, La Grange, North Carolina at 8:30 a.m. in preparation for the funeral procession. Floral arrangements may be delivered to Britt Funeral Home and Cremation Service, 414 East Washington Street, La Grange, North Carolina beginning on Tuesday, February 5, 2019 from 9:00 a.m. to 2:00 p.m.